Welcome to the LAQ Photo & Video Gallery! Following her training in lymphedema management (Casley-Smith) in 1995, Dr. 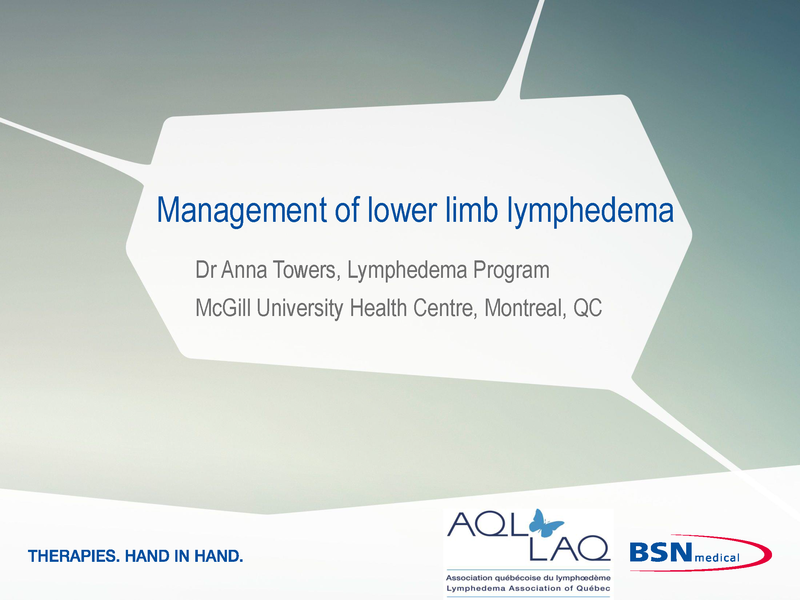 Towers has been directing the lymphedema program at the McGill University Health Centre. She was Founding Co-Chair of the Canadian Lymphedema Framework and is recognized as an advocate for the development of lymphedema programs in Canada. Join us to learn from Dr. Towers’ experience as she presents lower limb lymphedema and its management. If you would like to view this webinar, click here to view it on the BSN website. Exercise Your Way to Better Health. Join a Class! Get a FREE Subscription to Pathways Magazine!